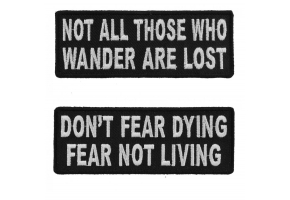 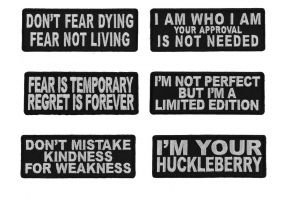 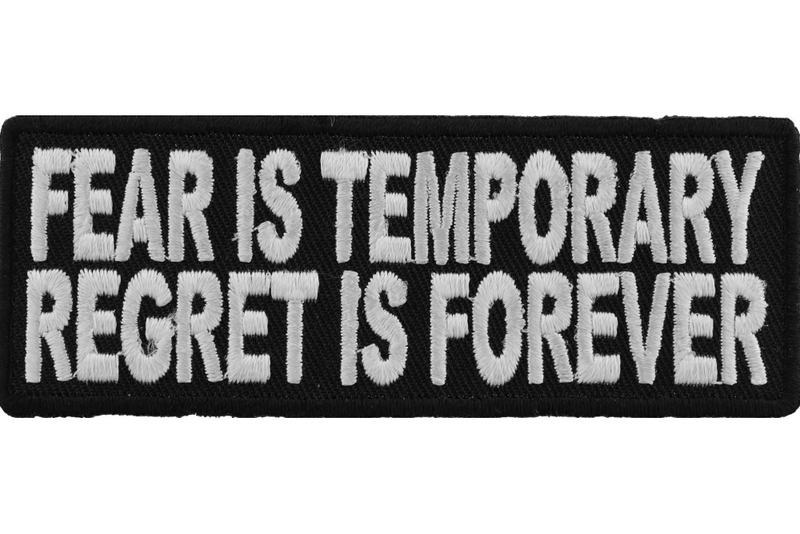 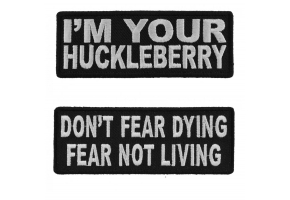 Fear is temporary Regret is Forever Patch measures 4x1.5 inches. 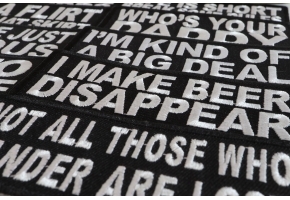 It is embroidered in black and white. 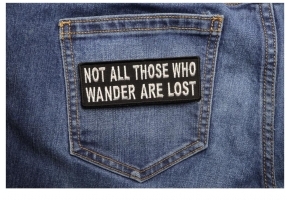 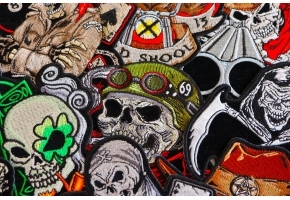 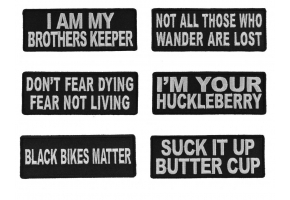 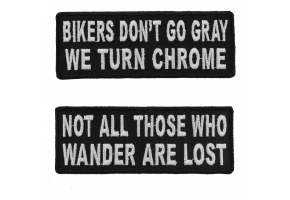 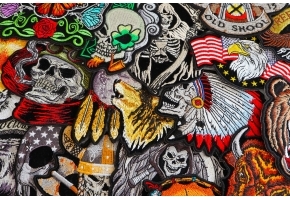 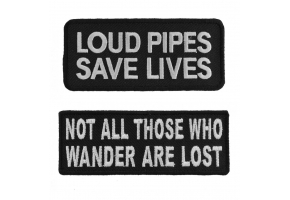 Buy this iron on patch from The Cheap Place.